Here’s another of my collaborations with Malissa Long Wilson. Malissa did this textile piece in response to my poem, so it is an ekphrastic work in reverse. I think she captured the soul of the poem here. 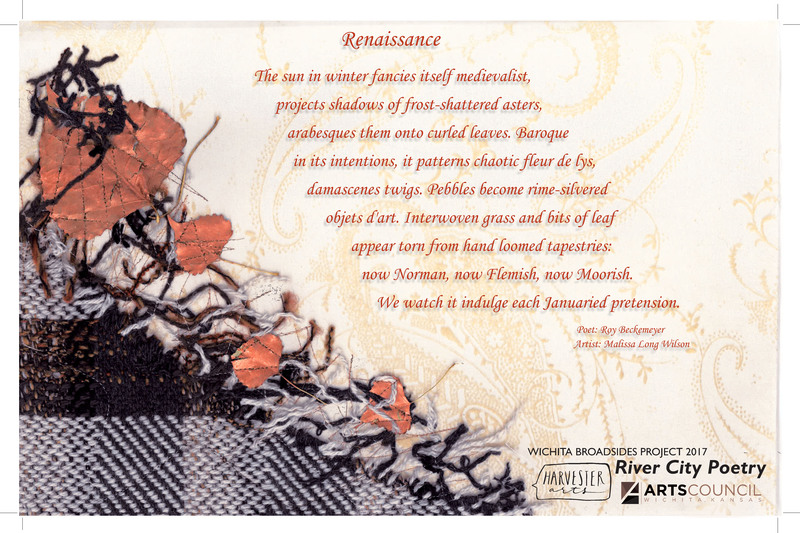 Broadside art and text copyright by Malissa Long Wilson and Roy J. Beckemeyer. Original 18 by 12 inches with 17 by 11-inch crop lines.